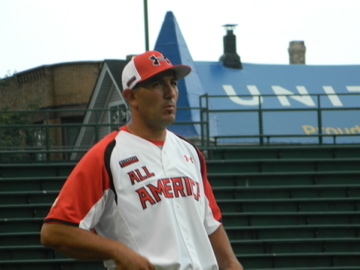 August 2011, coaching at Wrigley Field in Chicago at the Under Armour All-American game. 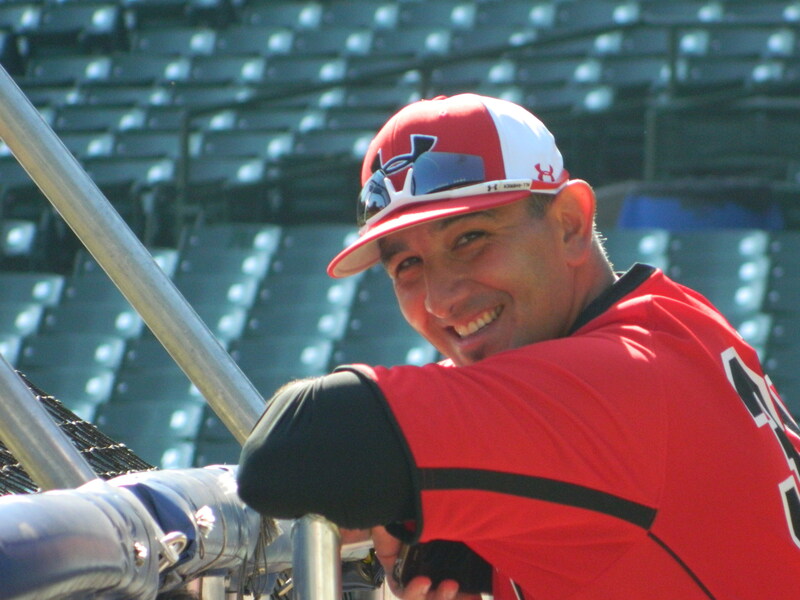 If you ask Coach Justin Duarte, he would tell you he has been greatly blessed to have had such amazing experiences through baseball. Each level and period of either playing or coaching has brought about many areas of personal growth and knowledge about this great game of baseball. Coaching other catchers is a passion of his and is the reason behind creating this program exclusively for catchers. With 18 years of coaching experience, he has spent countless hours researching and testing out the best methods to teach and refine the skills unique to this position. Justin had a tremendous playing career which began at Charter Oak High School (Covina, CA) and continued at Azusa Pacific University (Azusa, CA), where he was a 2-time All-Conference and All-American catcher. The Philadelphia Phillies drafted him in the 22nd round of the 1999 MLB Amatuer Draft. He finished a 4 year professional baseball career in 2002 with the San Diego Padres, and continued a coaching career which had begun while playing professionally. Justin’s passion for the catching position came at the young age of 12 while playing Pony League, but his true passion for the position grew during his playing days at Azusa Pacific University. His position coach, Scott Winterburn, infused in him the love for catching as they spent days, months and years fine tuning all aspects of the game behind the plate. Eventually, this proved to be a tremendous asset in his professional baseball career, as he adjusted his game, excelling to be a defensive catcher who reached Double A with the San Diego Padres. There were key coaches at the pro level who made a significant impact on his knowledge of the position, each adding a unique element into his practice and philosophy of catching. Duarte has held various coaching positions at Azusa Pacific University, Univ. of La Verne and as a head coach at Ontario Christian High School. 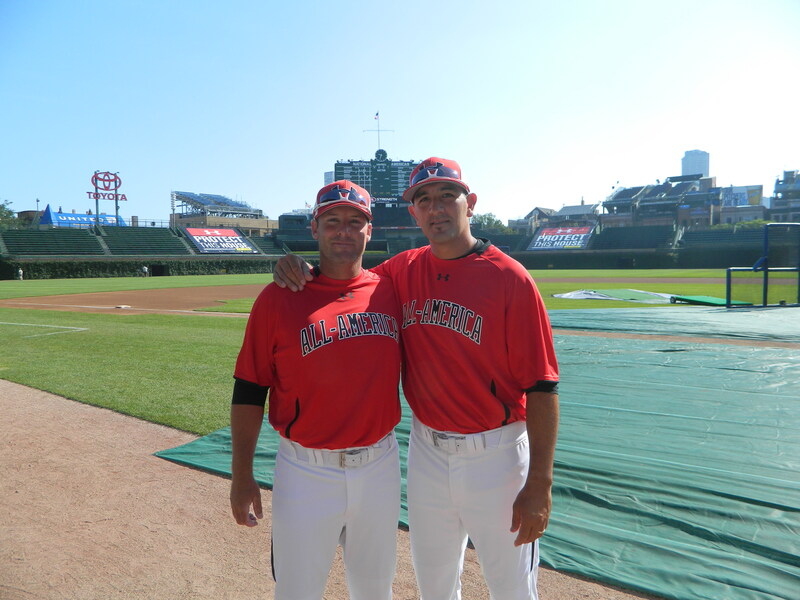 He has also served as a West Coast Regional Scout for the Baseball Factory/Under Armour Baseball since 2007, where he has worked to evaluate as many as 2,000 high school baseball players a year. More recently (2013-2015), JD served as head coach (and one year as assistant coach) in the California Collegiate League for the FCA So. Cal Catch. The team is comprised of mostly Division I/II college baseball players, who’s focus is on developing their baseball abilities, while having an emphasis on spiritual discipleship. Currently Justin is serving as assistant coach at Mt. SAC, where he will take on a wide role assisting with recruiting, the pitching staff, offensive development of players and leading the catching crew. He will team up with his APU college teammate John Knott to lead the baseball program and begin a new chapter for Mountie baseball. Love your videos and excellent choice of music. We live in Ohio so coming to a clinic is more than likely not going to happen anytime soon. Any suggestions on a catching clinic around our area (Cincinnati )? I coach the catchers on our team aND for our organization. I became the default catching coach a few years. Not having much experience with catching(I did a little catching growing up) lve had to do a lOT of research to find drills that follow the biomechanics of catching. So your videos have been a blessing. I found such a love for this position that as of moment my plan is to keep coaching after my son is done playing. It just so happens that my son started catching about the same time. But now at 14 dad doesn’t know much of anything. So I’m looking for someone that could coach/teach that way he would be more apt to learn. So I have a couple of questions the one above and do you y’all travel for clinics? Also do you do clinics/ classes for coaches? And just out of curiosity what’s it cost for your clinic? Love that, thanks for the message Peter. Better late than never;) Best position on the planet. Hello I am a senior catcher from Redlands high school and I was looking for some private lessons maybe? Or maybe your upcoming events I may attend? 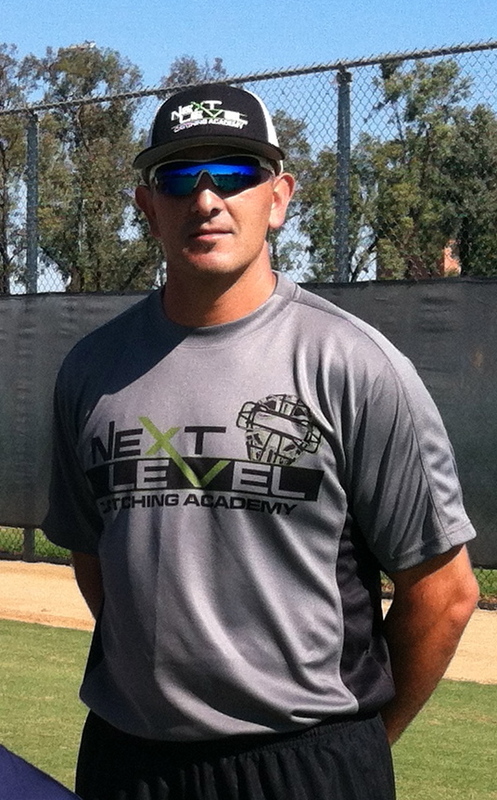 Hi Matthew, please send an email to nextlevelca@ymail.com or call 909-762-6308. Look forward to hearing from you.